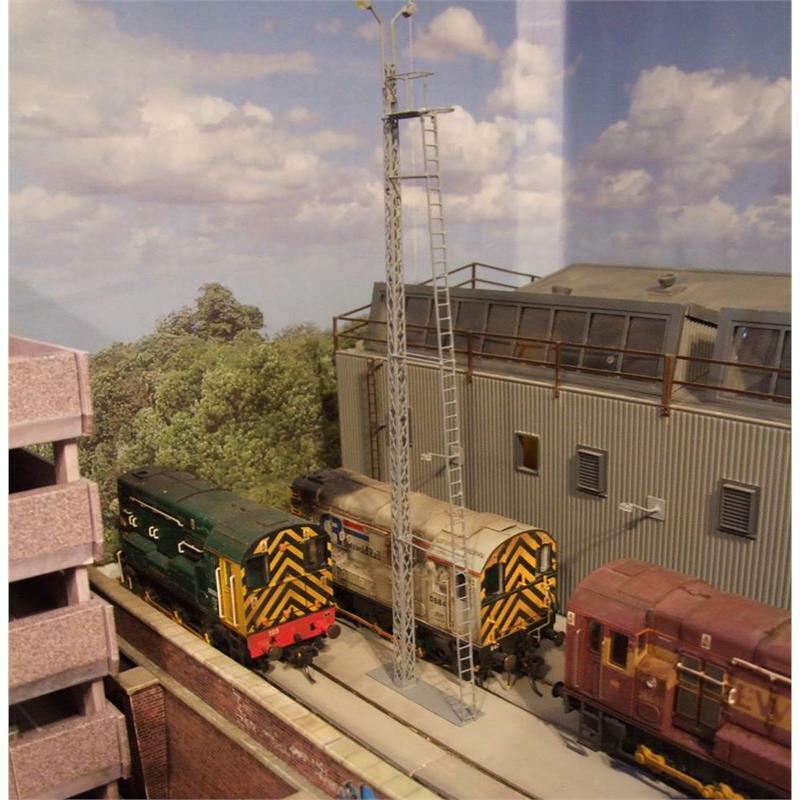 Description Our new Yard Tower with twin warm-white high intensity floodlights. It is all brass construction and is approx. 196mm in height above the baseboard. A resistor is built in to allow operation with 12V DC. Finished in grey paint.